The fact that there is zero info out of Dolby means they most likely were in the dark, just as Apple, Oppo and everyone else were in the dark. Dolby is in a tight spot. If they call out Sony, they risk even more damage to the DV standard and may potentially lose a partner. My guess is Sony is relying on their silence. You have honestly convinced yourself that Dolby did not know about the approach being taken by Sony with their format and even though they had to certify and sign off on the displays? Well well well, just installed the tvOS 11.3 beta on my Apple TV 4K and looky here! How can I install the beta on my apple tv? Also, will it just upgrade to the full version when the beta is finished, or do i have to manually upgrade going forward? I actually suspect that Dolby was in the loop as they really have the most to gain from the new profile. The more display devices that can support DV the better for them. They are trying to make DV an industry standard...to do that it needs to be wide-spread, not just a few vendors. More display support translates into more media availability which translates into more money from licenses. You need an Apple Developer account to install the profile in order to download the developer beta. Hopefully they bring the beta to the public soon, which you can opt into (if you want) by enabling it under Settings > System > Software Updates then enabling "Get Beta Updates". Awesome! Thanks for posting. Usually the public beta isn't far behind. Yes, there is absolutely no way that Dolby was not aware of Sony's implementation. The fact that 8 days after the Sony update, there is an Apple TV beta that supports DV via HDMI for Sony's update indicates that Apple was aware in advance, the change is relatively easy to implement in the source, or both. cgpublic will be shocked to hear this! Anyways, give us your thoughts on the picture quality you're getting from the Apple TV. Interested to hear how the low latency profile performs. Anyways, I am signed up for public beta's, can't wait. How long does it take for public betas to come out usually? Not verified yet that it changes anything with Sony Displays right? Your question is a little too cryptic for me to decipher. Can you elaborate? I think what he meant is that does it actually play DV titles correctly pics are always your friend. I was just asking if that addition to the matching interface showed ATV 4k was now going to work with Sony Displays with that Sony update a few days ago. Yes it does. 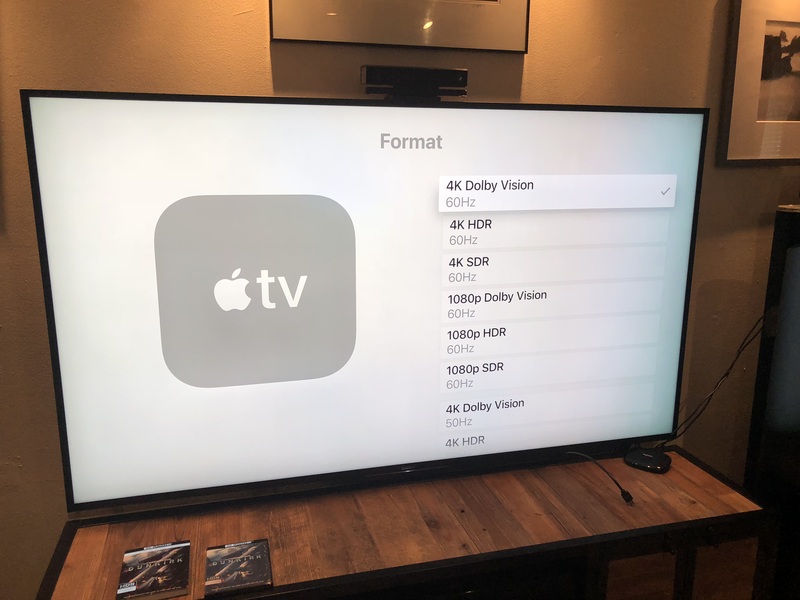 The fact that the Apple TV even shows Dolby Vision means that it has made a handshake with the TV to find supported formats. Prior to this update, Dolby Vision was not available in any form. Once you select Dolby Vision, like I had in my picture I provided, the logo popped up and then the TV switched to the Dolby Vision picture settings profile and stayed that way though movie playback. Brilliant. Thanks. Wish I could install it and see if it works through my Anthem and Denon DV enabled receivers. How long does it take for the public beta to come out usually? Would I be able to install the developer beta? Sometimes same day....other times a few days later. In order to get it right now, you'd have to spend $99 to join the developer program and have a Mac with Xcode to download the profile to the ATV. Typically 1-2 days, usually 1 day for the public beta to come out. If you are asking if the latest tvOS 11.3 developer beta released today works with the Sony DV update released last Tuesday, the answer is yes for all the UI elements and movie playback.